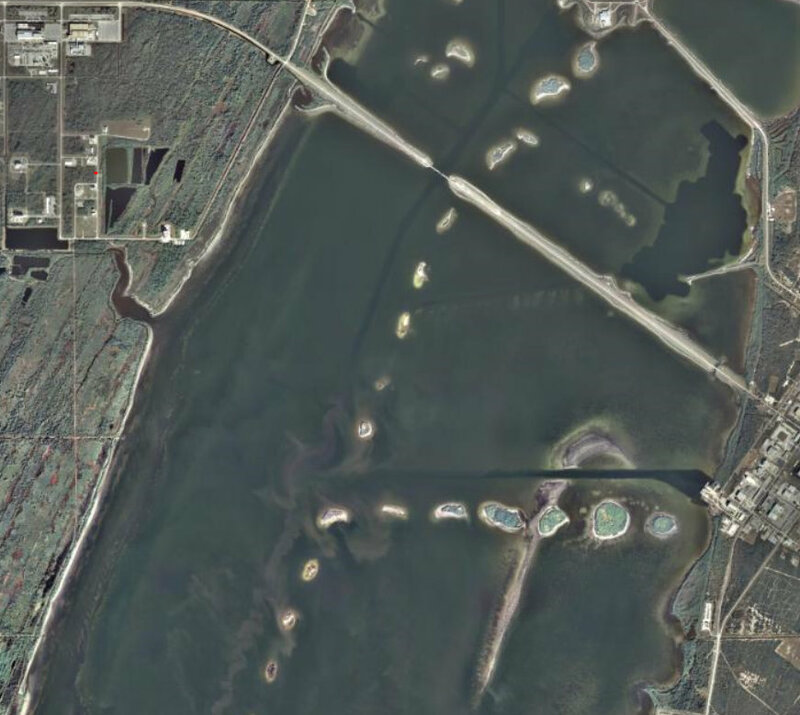 NASA Causeway "east" links Kennedy Space Center and Cape Canaveral Air Force Station (CCAFS) and forms the northern boundary of 10,000 acre "No Motor Zone" preserve in the north Banana River. 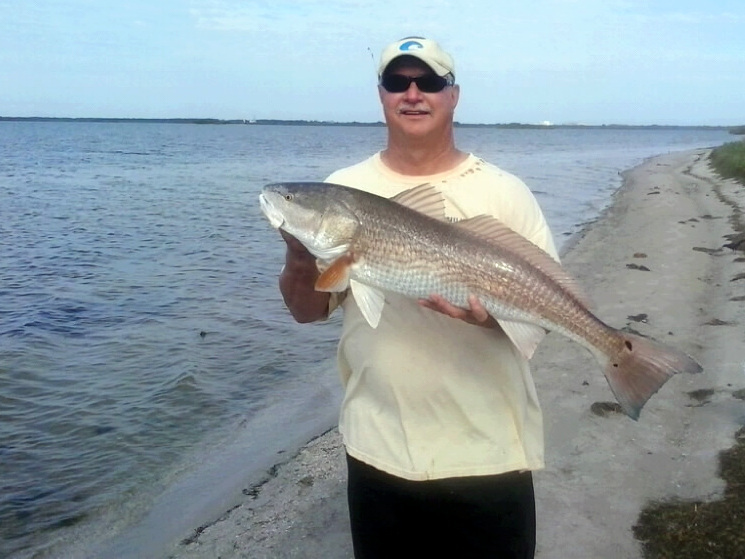 NASA Causeway is known as "The Best"
Best rocket launch viewing and best fishing on Florida's east coast! This area is my favorite Florida Paddle destination. 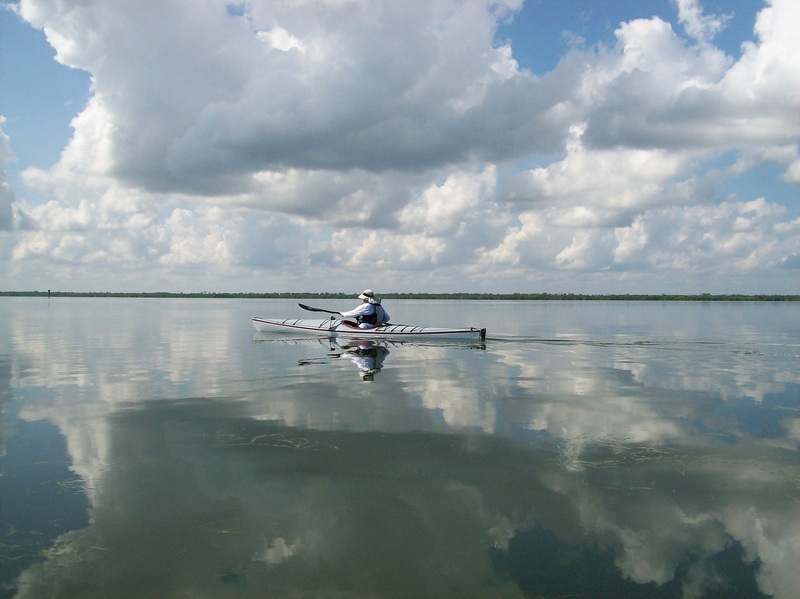 Paddle to NASA Causeway for blissful solitude, wildlife photos or for great catches of redfish, tarpon and snook. Just beware that the east coast sea breeze is often against you on the way south. The unpredictable winds can make the return...challenging. Aerial view of the Northern end of the NMZ. NASA Causeway cuts across the top of the photo. Vehicles and tour buses parking for a launch. The NMZ is closed during these events to anyone who does not possess a pass for that particular rocket launch. 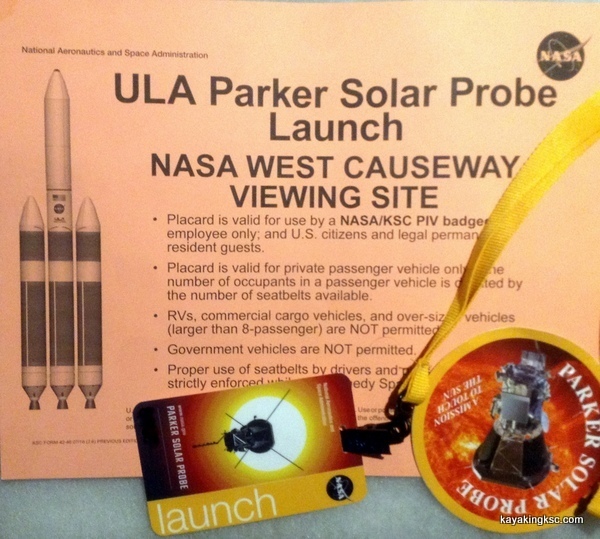 Place pass (placard) on dashboard to get out to NASA Causeway for a rocket liftoff! 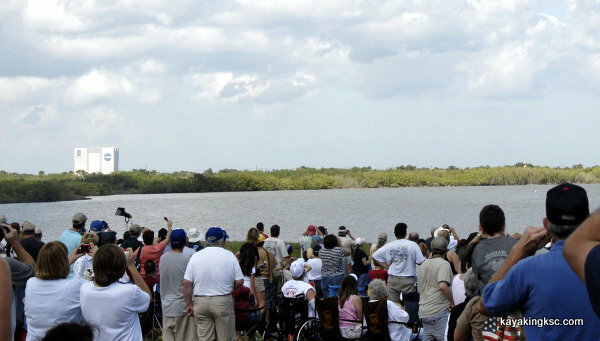 Crowd gathered on NASA Causeway for a launch. Expect record crowds for the SLS Rocket! Causeway viewing in the summer? 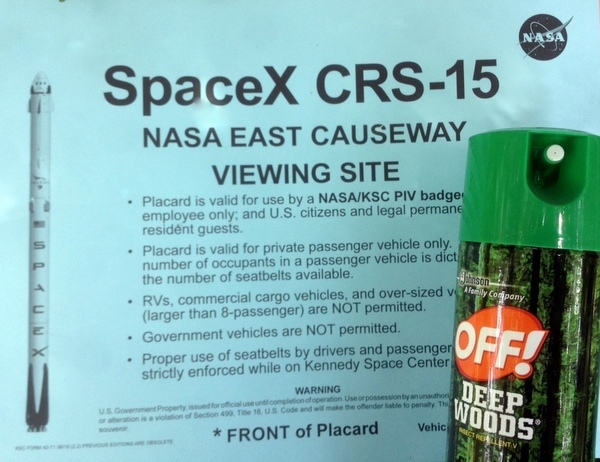 DO NOT forget the insect repellent. 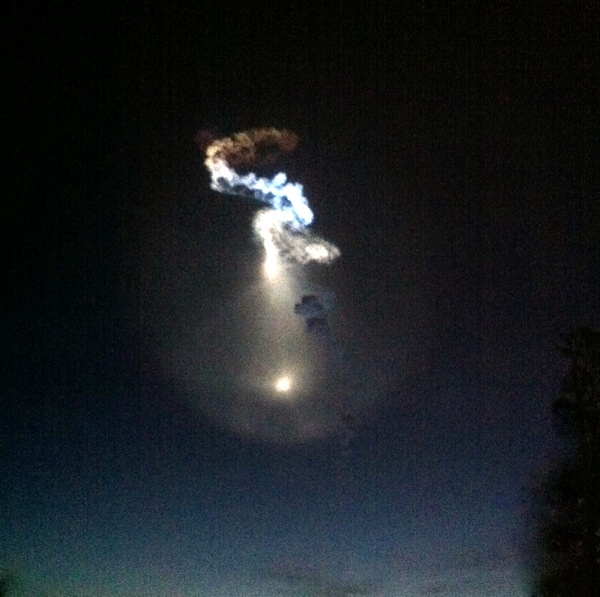 Pre dawn Space X launch! 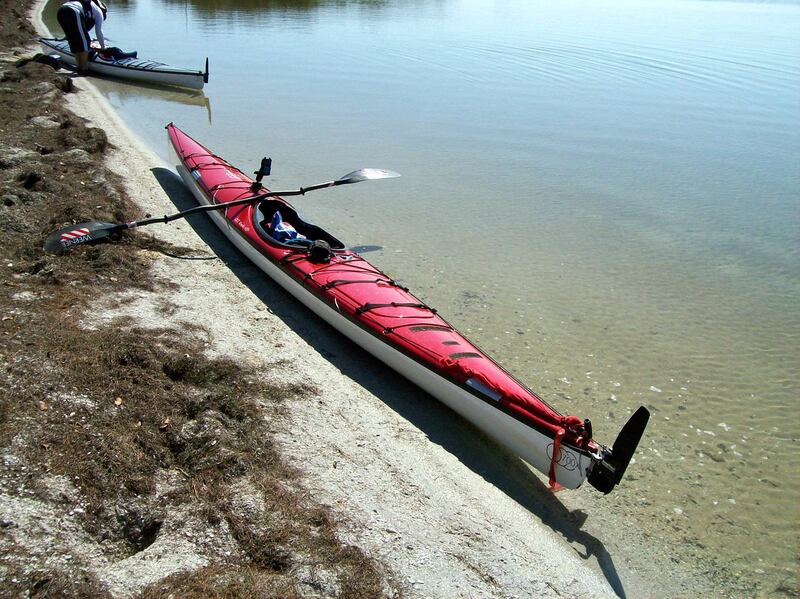 When paddling the waters of Kennedy Space Center Expect to see giant cute walrus looking mammals. 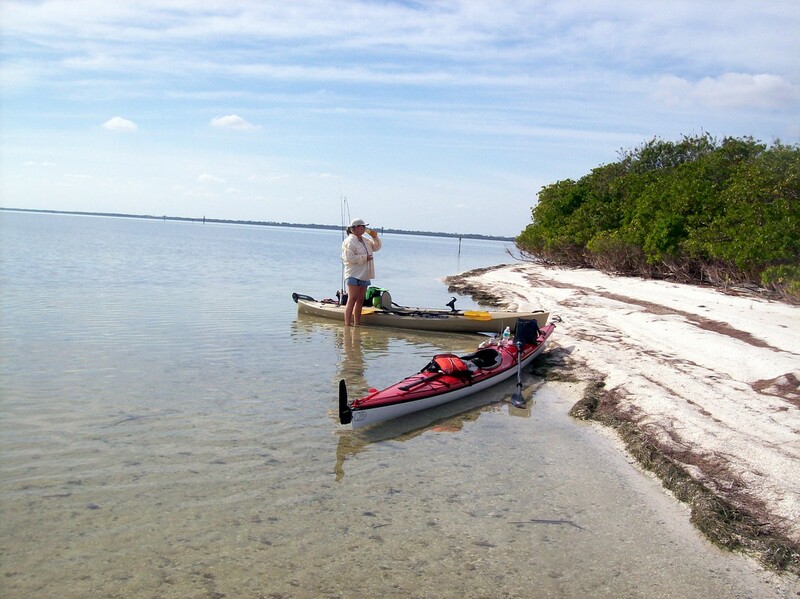 My wife and I were paddling our kayaks on the Banana River just south of NASA Causeway in the 10,000+ acres of the “No Motor Zone” Manatee Sanctuary. The unpredictable open water, sometimes glass like, sometimes quite rough and windy was the perfect training environment for our upcoming Expedition Kayak races; a hundred mile WaterTribe race in North Carolina and the 340 mile Missouri River MR340. One of the strict rules for both races, was the wearing of your PFD (Personal Flotation Device) at all times while on the water and so, clipping and zipping a properly fitted ‘Life Jacket’ had become an engrained habit for any outing on the water -no matter if the outside temperature was 92 or 42. So it was, we were putting in the miles, enjoying the natural entertainment of the Banana River- bluish Jellyfish floated under the boats, sting rays darted past, mullet jumped, and occasional Black Drum waved enormous tails out of the water. Bottle nose Dolphins worked in concert to corral fish and sometimes flip a mullet out of the water, and ever vigilant Ospreys plummeted from the sky, to quickly lift out of the water with dinner, shake their feathers and fly away. 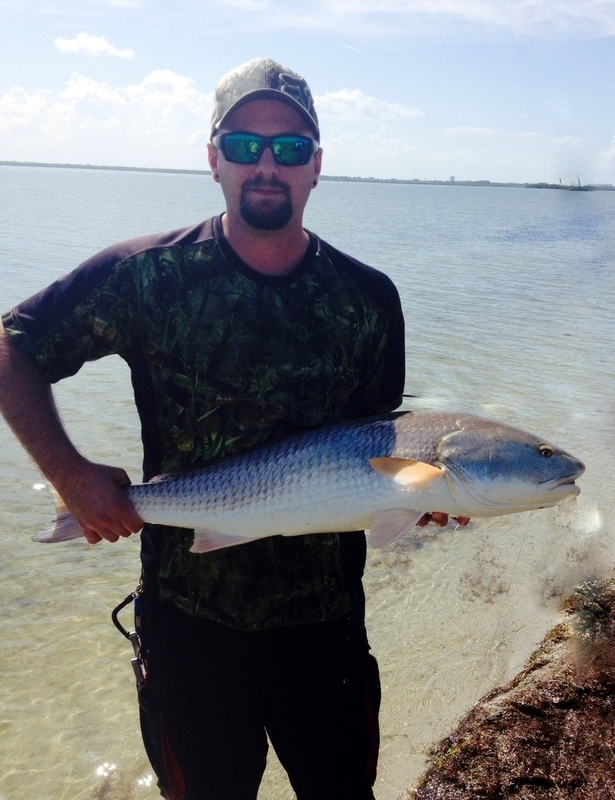 We had just enjoyed the rare occurrence of trapping a large school of Redfish between our boats and escorting the large bronze fish between us for a hundred meters or more. Exciting! I stopped for a sip of electrolytes and my wife continued on. 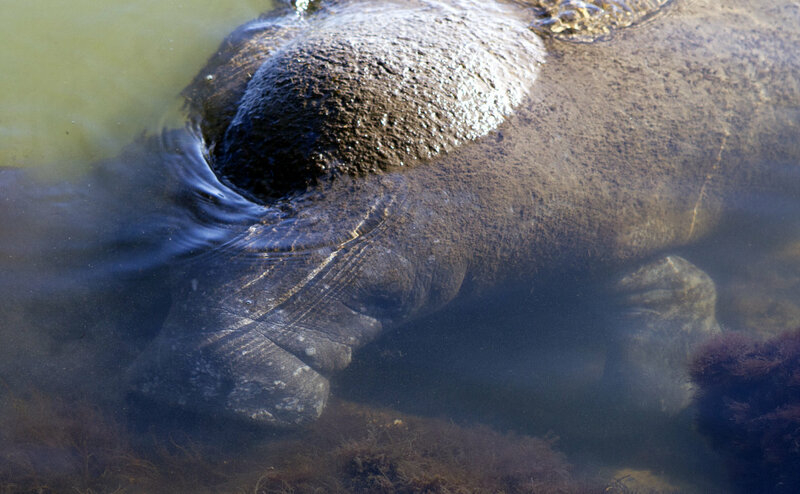 Unknown to either of us, was the family of Manatees resting near the surface and my wife glided silently over the large mammals, surprising them, setting them off in a panic of exploding spray and white water. Ever seen the docile Manatee panic? 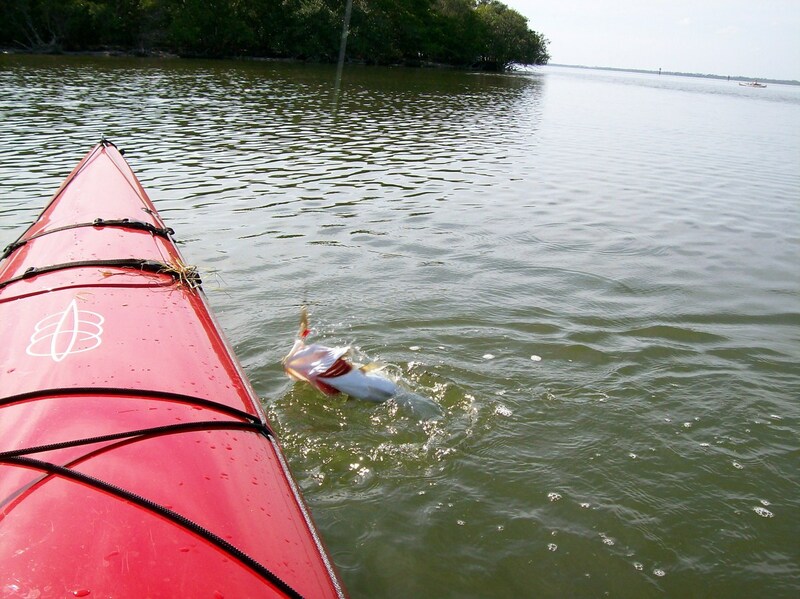 In an instant, my wife’s kayak was lifted out of the water and turned upside down, the white hull a stark contrast to the greenish river. Out of the froth and waves, my wife’s PFD popped her to the surface and I had to make sure she was unhurt before I allowed myself the deep laughter begging to be free and helped her right her boat. Fortunately another Watertribe race safety rule was the ability to perform “a wet entry” that is getting back into the kayak while on the water. And we had practiced the demanding task of wet entries at a local pool. I steadied my wife’s boat as she slid into her kayak-shaken and wet but with only a bruised ego. We pumped water from the kayak and continued our practice. Upon reflection, most potential harmful events are planned for, mitigated or avoided: rush hour, the lighting season, construction zones, ticks and so on. However we wear personal protective or safety equipment at work and play for that one unexpected instant we hope never comes. But events, sooner or later will like an unhurried pod of manatees slap you when you least expect it. 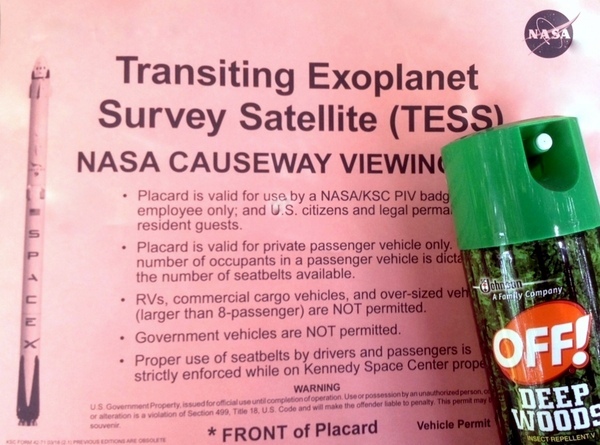 If you have a Kennedy Space Center badge, you can drive directly to the NASA Causeway-- EXCEPT on launch days and then you must have an issued placard.